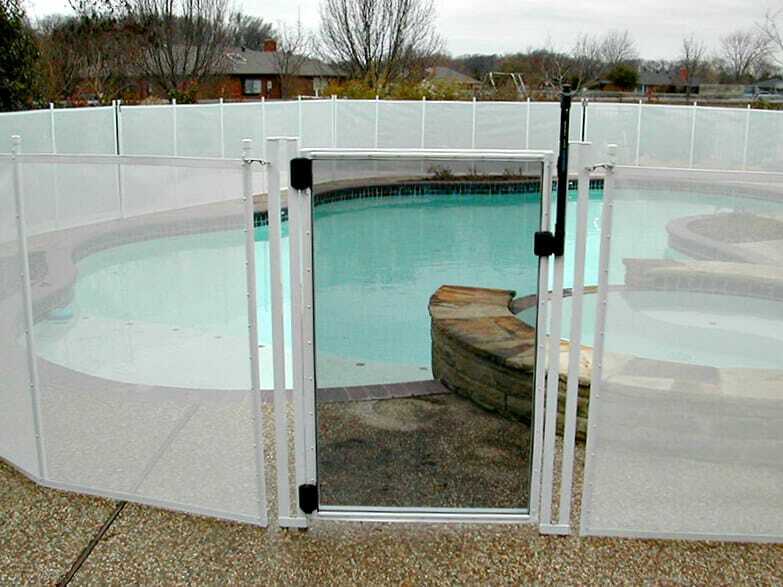 Looking For a Clear Pool Fence? Did you know that the colors we see aren’t the true colors of the objects we’re looking at? When light hits the surface of an object, the object absorbs only some wavelengths of light and it reflects others. Our eyes pick up on the wavelengths of light that reflect off the surface of an object, not the ones that are absorbed. For example, an apple is red because it does not absorb red wavelengths of light. It reflects it, so we only see the red. Weird, right? Our eyes can see millions of colors, but it’s a little bit different when it comes to black and white. Black is the absence of light when it comes to what our eyes can see. An object is black when it absorbs all wavelengths of light and reflects nothing back. This doesn’t mean that there’s an “absence of light”—that would be darkness, which is a completely different thing. Black objects still use light, but none of that light is reflected off the object. So, our eyes see it as if there was no light at all. Most people understand white to be the absence of color. That’s actually the opposite of the truth! Our eyes perceive white when an object reflects all wavelengths of light. This means that an object is reflecting most or all color wavelengths to the peak of what our eyes can handle. Because our eyes see all the colors reflected off of the object, we essentially see an absence of color. Now, we’re not talking about true transparency here—the pool fence would have to be completely clear for that to be the case. We’re talking about how “see-through” the pool fence mesh is. Think about the screens on your window versus the glass. You can see through both, even though one is mesh and the other is clear. Our fences are more like your window screen in terms of their transparency. Now that you know the properties of black and white, you can understand why certain materials seem more transparent than others. Look at the image of the white pool fence surrounding the pool. You’ll notice that you can’t see past the far side of the fence to the landscape beyond. That’s because your eyes are receiving multiple signals from the light wavelengths that reflect off the mesh. However, if you compare this to the pool gate in the center of the image, which is made of black mesh, you’ll notice something different. The black mesh is practically transparent and lets you see the pool and everything else behind it. This is because your eyes aren’t processing all the light that is reflected off of the white pool fence mesh. When it comes to pool fences, a black mesh is a more transparent material than white mesh, and it’s all due to the way our eyes perceive light and colors. A black pool fence mesh helps to create a more transparent fence, which is aesthetically pleasing because it allows you to see your beautiful pool. And, it affords you a good view of your kids swimming. Furthermore, the darker color blends seamlessly into the environment, too – check out our gallery for examples of this. Keep this in mind as you shop for your Katchakid pool fence!